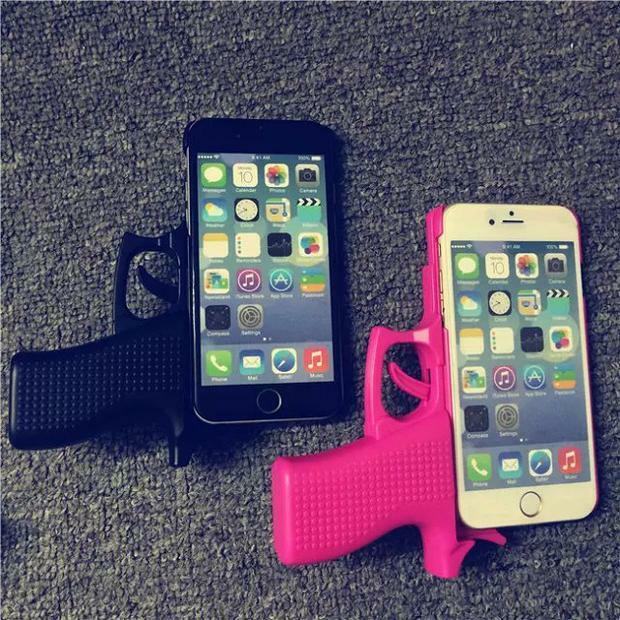 Law enforcement officials are concerned about iPhone cases that look like guns. Numerous websites sell the cases, but police officers are urging the public not to buy them. Oakland County Sheriff Michael Bouchard says the cases are dangerous because people may mistake them for real guns. "Let's say someone has this stuck in their back pocket and they walk into a bank or it's a student going into the school. Someone obviously might not know what that is," Bouchard said. Michelle LaJoye-Young is the undersheriff for Kent County. She also says the cases are dangerous because police could mistakenly think they're a real threat. "Obviously, if the officer feels that they are pulling a handgun on them, they have a potential of using deadly force on that person," Young said. Both departments say they have not encountered these phone cases yet. There have been multiple instances around the country where police have mistaken toy guns for real ones. Young says it's not illegal to carry a firearm, but anyone who feels threatened by someone with a gun should call the police.